Portable storage buildings are necessary in a wide variety of industries—from retail and hospitality to education and healthcare. At Falcon Structures, we get diverse requests for shipping container storage units all the time. Below, we'll explore the issue of portable storage buildings made easy, and how containers can be incorporated into four diverse industries. In the world of agriculture, storage needs change from season to season—and often from year to year if fields are lying fallow. As a result, portable storage solutions are essential to allowing workers access to the tools they need. Durable units that can accommodate tractors and plows are becoming more popular, with features like roll-up doors and custom security. Agricultural storage buildings are also great for protecting harvest overflow in a secure, weather-resistant container. Modified shipping containers, in particular, are effective for keeping out pests. Kitchen and storage space is often very limited in restaurants, yet it's necessary to have plenty of staples on hand in order to keep the restaurant running. That’s why restaurateurs and hoteliers are discovering portable storage buildings made easy (a.k.a. conex storerooms). Once equipped with shelving, a personnel door, and overhead lighting, containers make the perfect pantry. Use them to protect your extra dry goods, linens, uniforms, and paper products in an accessible, organized manner. Modified shipping containers can also be climate controlled to ensure food safety, or even accommodate cold storage needs. Construction sites are temporary, but there is a great need for a wide variety of tools and equipment during that time. Modified shipping containers are a frequently used solution in this industry, as they are easily transported and can store very large pieces of equipment. In addition, the security and weather-resistance afforded by containers is ideal for offices. Since the containers are durable and weather-resistant, they are ideal for situations where storage may be long-term, but the location of the storage space may not be. 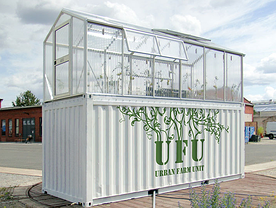 Often, an organization can find multiple uses for differently modified shipping containers. For example, with simple modifications a storage unit could be converted into an emergency classroom. A construction yard storage unit could transform into a portable office. If you're interested in learning more about whether a portable storage building check out our catalog.